When Michael Babcock left UM with a computer science degree in 1998, he packed up his Camry and drove to the hills of Hollywood. Discovered by Jim Henson’s Creature Shop through an article he wrote on software development, Babcock was called west to work in animatronics for the movie industry. 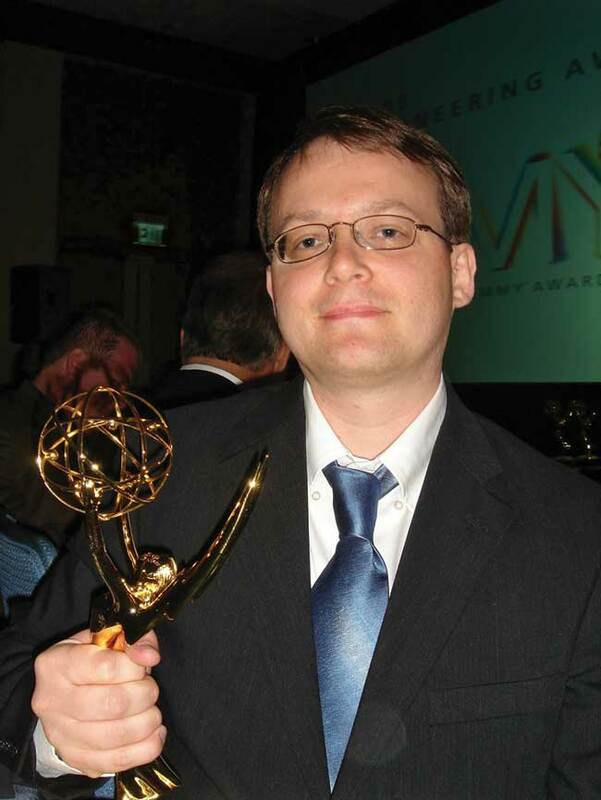 As an architect at Jim Henson, Babcock won a technical Emmy in 2009 for his Henson Digital Performance System, which allows puppeteers to perform digital characters in real time. So what are some examples of shows or movies that have used HDPS? Probably the biggest show that we did was “Sid the Science Kid,” a children’s show on PBS that was performed real time. We did a bobble-head for this horrible Ice Cube movie. And we did a few other things. What’s some of the feedback you heard from HDPS? They really liked it. It was real-time interacting because they could essentially shoot it as if it was like a live-action TV show, with the traditional three cameras, directors right there, multiple takes and the performers improvising. In traditional animation, you don’t really have that luxury because it’s such a slow process, so everything has to be planned ahead. You don’t have that type of spontaneity. How did you get started in computer coding? I got my first computer when I was 12, and that was a little portable Radio Shack computer, TRS-80 model 100. I wasn’t really programming, and it wasn’t until I actually went to college that I got into it. The Intro to Computer Science professor was Ronald Wilson at the computer science department, and he was a really good teacher. I both liked the classes, and I found out that I was pretty good at it, so it was a combination that made me decide to major in computer science. How did you end up at DreamWorks? I ended up getting an offer from DreamWorks Animation to work on their custom animation software. I joined that team in early February 2012, and they hadn’t released the new software yet, so they had their previous generation animation that they were using for several years. It was a pretty old-fashioned system. You were basically animating by typing numbers into a spreadsheet and couldn’t really see the results instantly. The new system that they were developing was called Premo, and a lot of focus was on speed so the animators could do stuff just very intuitively and instantly. The animators really loved it, and “How to Train Your Dragon 2” was the first movie that used that. Could you walk me through animating in Premo? There’s actually not a lot of set-up for the animator. Somebody’s already set up what characters are in a shot and rigged the characters. When an animator comes in, they watch their shot that the rest work on, and they see the character right there in front of them. They can pull and push the character like a puppet – sort of direct interaction. That was the big focus of Premo – getting away from going to a spreadsheet or some other more technical view. You’re mostly working directly in the 3D environment. Do you have a favorite movie from DreamWorks? Probably my favorite DreamWorks movie is “How to Train Your Dragon,” and I liked that even before I went to work for DreamWorks. It’s kind of a biased opinion. The first one used the older software, called Emo, so that’s why Premo is named as it is, sort of a play on previous gen. Premo, because it allows the animator more fast, intuitive control, means they can spend more time on creatively improving animation. They can animate more complicated shots. If you look at some of the shots of “How to Train Your Dragon 2,” they have lots of dragons and crowds of people, and there’s lots going on. Now that I’m tech lead, I’m in more meetings and design discussions. I still really enjoy talking to users and getting their feedback, so that’s what my personal favorite part is. Instead of day-to-day sitting in front of a computer programming a specific feature, a lot of it is planning the feature, designing the feature, and then, once a developer implements it, mentoring them, looking at their code. What is the work environment like at DreamWorks? I’d say it’s very positive. First of all, it’s a beautiful campus – more like a campus than a corporate building. There’s koi ponds and fountains, so it’s just a nice place to work. You get free food, free breakfast and lunch. And just in general, they treat people pretty well. As far as developing software, it’s kind of interesting being on a bigger team with more planning versus. When I was at Henson, we were really close to production. So each day, (with) the deadlines and the stress of production, you’d be in constant panic mode, trying to fix things. But now we’re in a separate R&D department, so it’s a little bit more relaxed. Do you have any personal projects you’re excited about? My dad is interested in ancient Chinese, and then my sister kind of followed him, and she’s studying Chinese, so I’ve done little tools to help them, like dictionary tools and translation system tools. My uncle, Ray Babcock, was (a computer science professor) at MSU in Bozeman, so I guess the computer gene runs in the family.